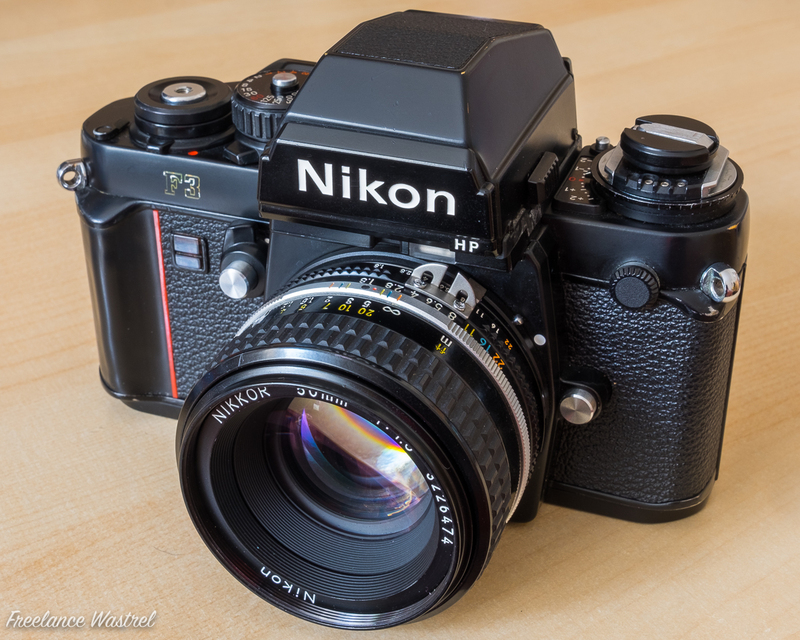 Nikon F3 – A professional heavyweight. I eventually splashed the cash a couple of years ago when a clean and tidy F3HP turned up on the secondhand shelf at Harrison Cameras in Sheffield for a very reasonable sum. 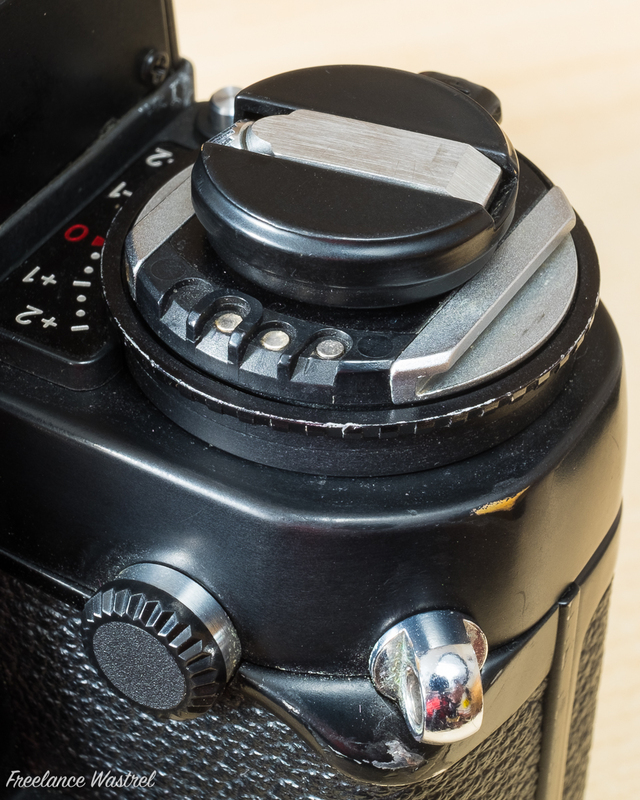 Introduced in March 1980 the F3 amazingly continued to be produced after it was superseded by the F4 in 1988 and the F5 in 1996 with Nikon finally announcing that production had ceased as late as 2001! With interchangeable viewfinders, focusing screens and a wide range of dedicated accessories, including the high-speed MD-4 motor drive, the F3 is still a precision tool capable of handling any photographic situation… So far I’ve managed to resist the battery hungry MD-4 but have added the DW-3 waist level finder and a Type G2 focusing screen to my bag. Over the years I’ve been fortunate enough to accumulate a number of manual focus Nikkor lenses ranging from the 28mm f/2.8 Series E up to the 200mm f/4 and now the Zoom-Nikkor 80~200 f/4.5 that I picked up at an auction last week. Every single Nikon lens in my collection, even those dating from the 1960s and the more recent autofocus AF-D models can be used with the F3, it really is an incredibly versatile piece of kit! 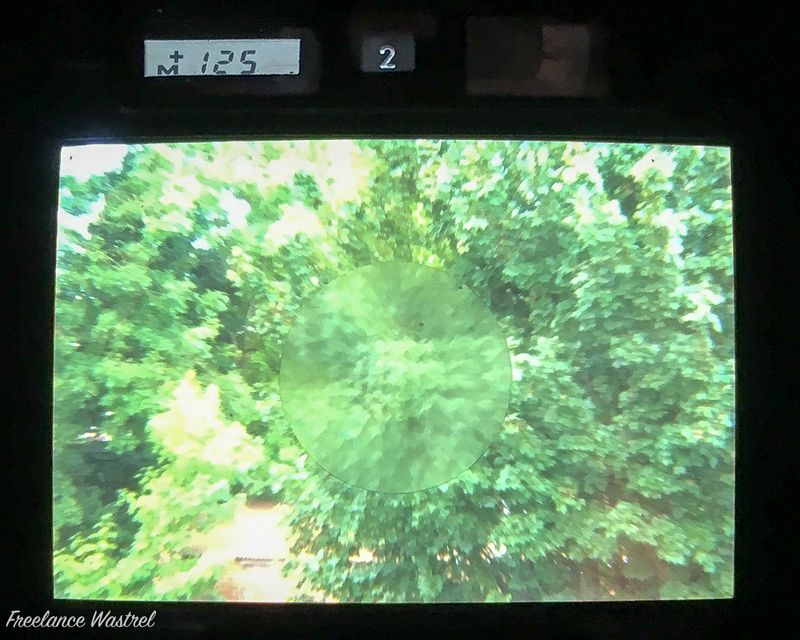 It’s not all beer and skittles with the F3 though… The viewfinder display is poor, just a tiny LCD to indicate shutter speed and exposure information. In good light the aperture in use is visible in the equally tiny ADR (Aperture Direct Readout) window, in poor light it can be difficult to see any information at all.